The new boxer engine is considered to the perfect engine for a motorcycle. The first ever BMW motorcycle was a boxer model, so BMW are bringing it back to their roots with the twin-cyclinder embodying the heart of BMW Motorrad. 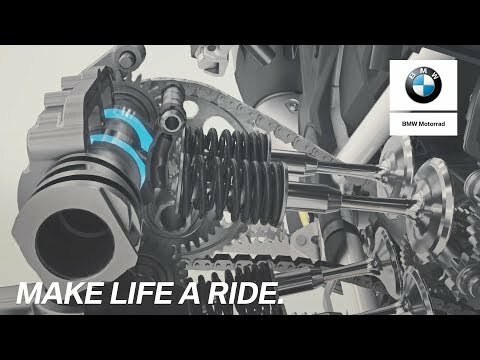 The new R 1250 GS and R1200 RT experiences the new boxer engine which has more capacity to bring you more performance. The new twin-cylinder boxer engine fascinates in its diversity from the very first moment. It offers the driver increase performance and smooth running. The BMW ShiftCam variable camshaft control ensures a more powerful torque development over the entire engine speed, providing greater control in every riding situation. Giving power whenever you need it. What's even better its the engine 3 years warranty. So you can ride on and on and on. Whether you are riding in the city, the highway, or off-road this engine triumphs with almost perfect rideability.